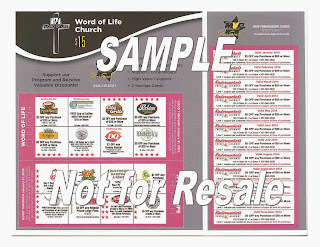 Over the last three years we as a youth group have raised about $10,000 from the sales of the discount card we created. One of the things I loved in the past was that we had no third parties benefiting from the sale of the card but in order to take it to the next level, that’s what we are going to do this year. Having said all of that, I believe we are set up to do very well with this year’s card. - For every card your student sells, they will earn $7. - At the same time, the food shelf will be given a donation based off of our sales. - Each card will sell for $15. In the past we have offered some sales incentives and we are again this year but those incentives will be different this year. The incentive of a $75 credit for any camp at IPOINT or towards the Mexico Mission Trip will be given to the top selling team of each blitz date. This means that there is $300 worth of credits to be won.